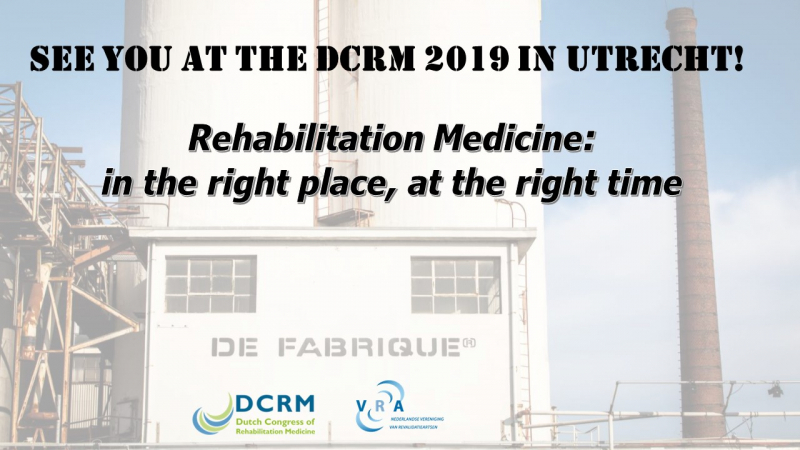 On 7 and 8 November 2019 the Dutch Congress of Rehabilitation Medicine will take place in De Fabrique, Utrecht, The Netherlands. The theme of the congress is 'Rehabilitation Medicine: in the right place, at the right time'. Click here for more information.